When working as a doctor out in the clinic, I was always puzzled by a set of questions which are beyond the routine diagnostic challenges: I always wondered what makes people with similar build, age, ethnic background with a common diet and lifestyle habits end up with such different destinies? Some would die of a heart attack or perhaps a brain tumour within a few months, while others would live for years with no heart disease or cancer. How does a clinician know which person in his or her waiting room is at an immediate risk? Cancer and heart disease are the leading causes of mortality in the developed world, and in many developing countries. It is a widely accepted fact that these diseases have “multifactorial” origin in most patients, meaning that these diseases cannot be explained by genetics alone and that the causative elements vary in an unpredictable fashion from patient to patient. But what would happen if we had a lab test which could say something about risks and best treatments? We have several laboratory tests, but so far no test can reliably identify who will get these illnesses and who won’t. The existing clinical and pathological tools for both these diseases are insufficient for accurate response prediction and for an individualised treatment. 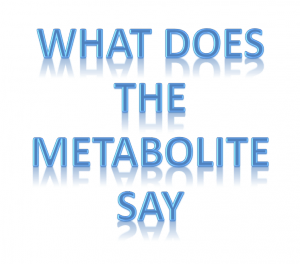 Metabolomics, or the study of small molecular metabolites which are chemical substances produced as a result of the cells’ metabolism, could provide some answers. 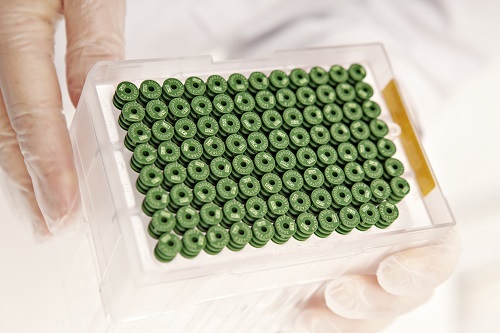 The identification of metabolic biomarkers for cardiac disease and cancer risk prediction, diagnosis and treatment response, could have the power to increase overall survival and the patients’ quality of life, as well as saving huge expenses for society. As a part of my recently completed PhD research at the MR Cancer Group in Trondheim, we found aerobic fitness dependent differences in serum levels of free choline and phosphatidylcholine in a group of healthy volunteers from the Nord-Trøndelag health study (HUNT). Maximal oxygen uptake (VO2max) is the maximum capacity of an individual’s body to transport and use oxygen during incremental exercise, which reflects the physical fitness of the individual. In healthy people, VO2max is the best predictor of future cardiovascular disease (CVD) mortality. Hence, it is interesting to identify new biomarkers for low aerobic fitness that may also have a potential as early biomarkers of cardiovascular disease risk. As we saw an association between aerobic fitness and serum levels of choline-containing metabolites (choline is an essential nutrient and its metabolites are needed for maintaining structural integrity and signalling roles for cell membranes). These metabolites could be early markers of heart disease risk, although this needs further validation studies. Detecting early warning signs of cardiovascular risks in a healthy population may further help in intervention programmes, such as lifestyle modifications, and thereby improve community health. In another study, the possibility of differentiating diffuse World Health Organization (WHO) Grade II and IV astrocytoma (a type of brain tumour) based on their metabolic profiles were shown. This is one of the common primary brain tumours in humans, which have very poor prognoses at higher grades. High and low grade astrocytomas are managed differently, and therefore it is essential to identify molecular and metabolic factors that may classify these patients with regards to optimal treatment and prognostication. Identifying new biological indicators using metabolomics offers a new objective diagnostic approach, which depends solely on biomarkers that can improve the accuracy of tumour grading and patient stratification. These metabolic markers are still a long way from reaching routine clinical use. Still, I strongly believe that these are the first steps in that direction. In a third study, metabolic markers of chemotherapy-related changes in ovarian serous carcinoma effusions were identified. The collection of fluid in the abdominal cavity and around the lungs (known as malignant effusions in serosal cavities) is seen in advanced stages of ovarian, breast and gastrointestinal cancers. Studying metabolites in theses fluids can provide important information about the exposure to chemotherapy, and metabolic characterisation could be a promising technique to further understand the mechanisms of abnormal fluid collections (effusion) development in malignant tumours, and to target clinical intervention. These studies show that metabolomics techniques are useful in capturing molecular signatures of cancers and aerobic fitness, and may contribute further to the scientific understanding of the underlying biology. However, these metabolic markers are still a long way from reaching routine clinical use. Still, I strongly believe that these are the first steps in that direction.